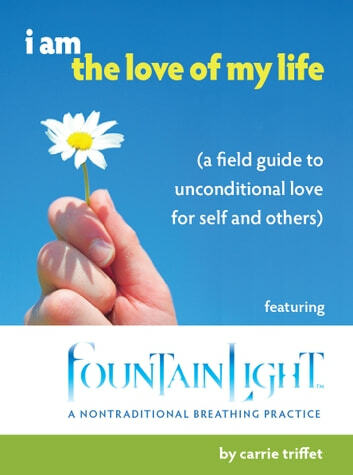 Featuring FOUNTAINLIGHT - A NONTRADITIONAL BREATHING PRACTICE. Wake up to the awareness of yourself as God created you to be: Joyous, peaceful, strong, infinitely loving and completely free of fear. Our aim is to help you with the sticky business of waking up to your own greatness. As A Course In Miracles points out, "Your task is not to seek for Love, but merely to seek and find all of the barriers within yourself that you have built against it." This book is all about finding and releasing the barriers to Love.